I was happy to wake up today to find that Google decided to honor Keith Haring today. The HIV positive artist and activist would have turned 54 today. Keith passed to spirit in 1990 at the of 31. 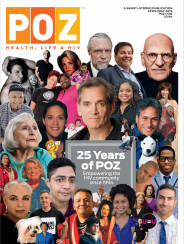 The Poz Staff posted a wonderful blog entry about Keith today, check it out here.